Rooskens was a self-taught painter who worked for most of his artistic career in Amsterdam. 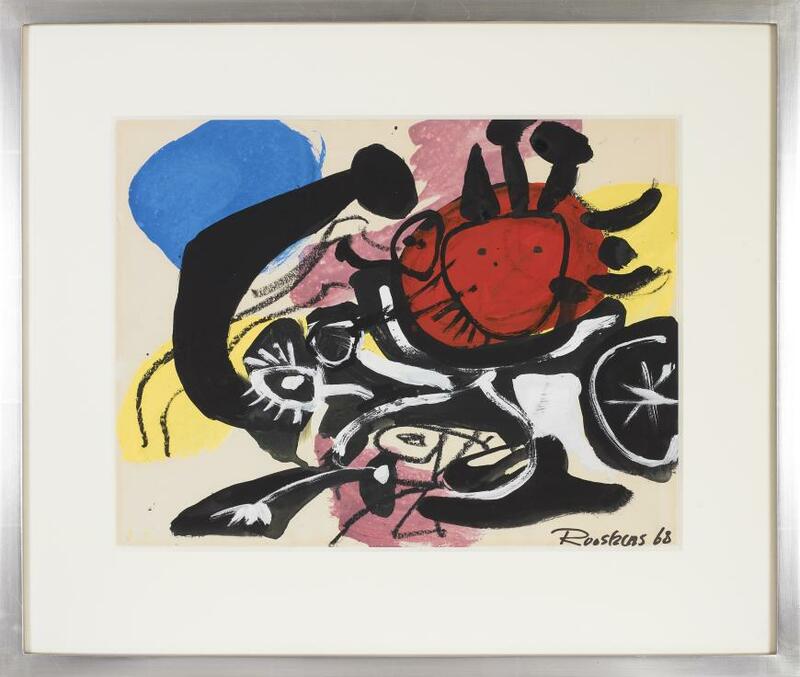 In 1946 he met Karel Appel and Corneille, who greatly influenced his spontaneity in painting, and with whom he started the CoBrA group. 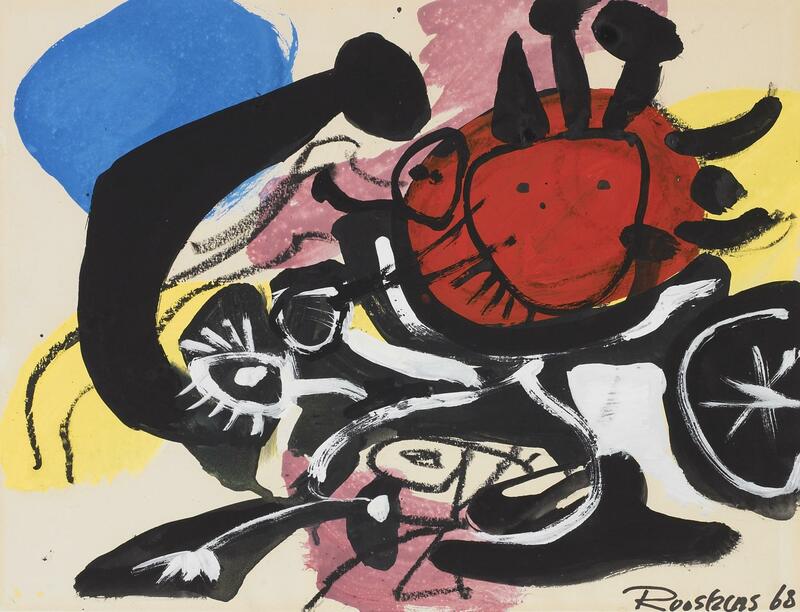 Untitled is an example of Rooskens' work post-1965, around which time the artist painted works wherein fantastical beings emerged from his brushstrokes. These late works contain mask and shield-like imagery, and are classic CoBrA pieces. Rooskens' paintings from this period are marked by a strong influence of the primitive from New Guinea, using symbolism and mysticism to create a magical or "CoBra language". As seen in this work, he used strong, pure color such as red, blue, pink and yellow expressively in spontaneously applied lines and areas of color, all the while maintaining balance. The inspiration for these works first came in 1945, when Rooskens visited the Rijksmuseum in Amsterdam and came in contact with African sculptures and ancestral figures. The paintings he created from 1965 until the end of his life in 1976 are considered brighter than his 1950s pieces.